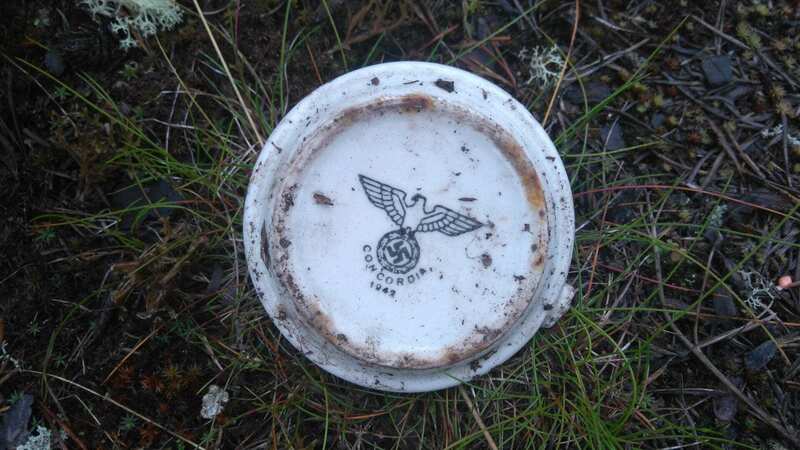 The experience of the Second World War in Lapland was starkly different from the war experience elsewhere in Finland. Germans held the frontline in northern Finland from 1941 to 1944, and at the height of their military build-up, there were more German troops and their prisoners of various nationalities than local inhabitants. Once Finland had signed a cease-fire with the Soviet Union in 1944, the Lapland War (1944–1945) broke out between the one-time allies. The retreating Germans left behind hundreds of tons of war materiel in various states of repair. Objects ranged from tractors, gun carriages and motorboats to bottles of alcohol, canned food and personal effects. An enormous amount of explosives was also dispersed throughout the region by the Germans, claiming lives long after the war. Because the presence of troops from Nazi Germany in northern Finland in the role of comrades-in-arms has been a sensitive and downplayed subject in Finland, the related experiences of the region’s inhabitants including the Sámi people have also been sidelined. 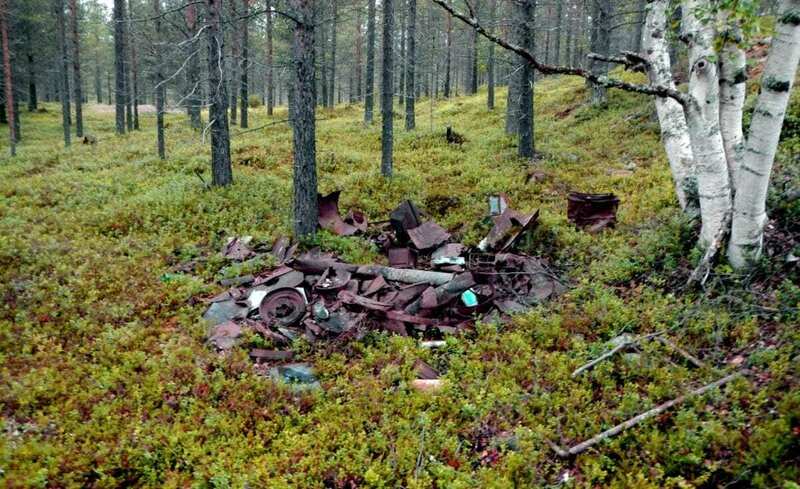 German material remnants have often been termed ‘war junk’, seen to tarnish Lapland’s nature. The locals, however, have been living with these remnants for decades. To them, they are an important part of the local cultural landscape, as well as manifestations of individual and collective memories. Many residents consider themselves as custodians of their ‘own past’. They want to control outsider access to wartime and other cultural heritage sites. Furthermore, they often feel that authorities are dismissive of their cultural heritage. Thus, traces of German presence in the local landscape have also become symbols of today’s juxtaposition of northern and southern Finland, as well as the marginalisation of the north. These viewpoints also reflect the long-term colonialist history of Lapland. The public’s role has been significant in locating the sites and in the communal lore related to them. As regards the latter, material remnants scattered over the landscape are important for the sustenance of cross-generational memories. Furthermore, they are linked with memories of colonialism and related issues, such as post-war reformatories where Sámi was a forbidden language. “The differences between approaches to German relics from the Second World War seem to originate from fundamental differences between worldviews and the manners in which landscape is interpreted,” says archaeologist Oula Seitsonen. According to Oula Seitsonen, the different parties should be familiar with and accept each other’s divergent starting points in order to conduct constructive debate on the issue. Seitsonen believes that the sites could be utilised for the benefit of Lapland’s tourism industry, important to the region. Oula Seitsonen’s doctoral dissertation is the first comprehensive, theoretically informed study of the archaeology, materiality and heritage of the material remnants of German troops in Finnish Lapland.